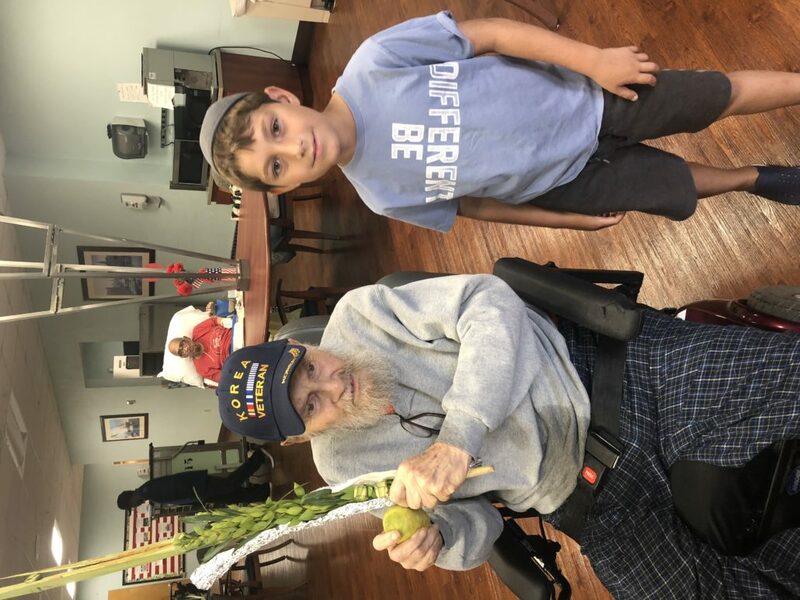 Yehuda went to Miami’s veterans facility to visit a Jewish veteran. When he entered the room, the man was not there so one of the workers took us to find him. He ended up bringing us accidentally to another Jewish man! Yehuda got the opportunity to meet two Jewish veterans who were so happy to partake in this miztva.